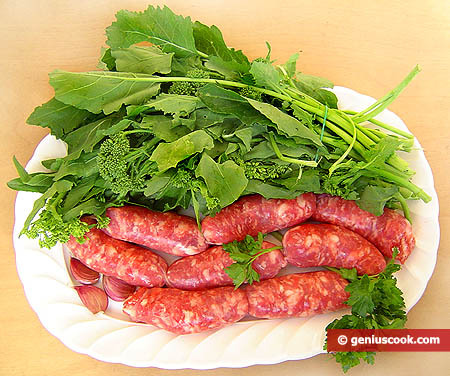 Sausages with broccoli rabe or friarielli as Italians call it is a staple recipe of Neapolitan cuisine. Friarielli is traditionally cultivated in Naples and its surrounding areas. And broccoli rabe recipes originated there. Friarielli has mushroom-like, slightly bitter piquant taste that goes perfectly well with fresh sausages. Sausages are made from high quality meat which is cut by a knife very finely. Never grind meat for sausages using a meat grinder! 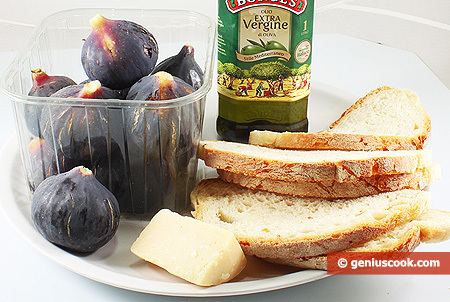 No Neapolitan – and no epicure as well – can resist this wonderfully delicious dish. 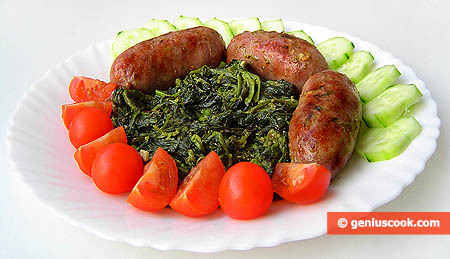 Make sausages using our recipe or buy them in a store. Wash friarielli. Separate leaves and buds from stems. 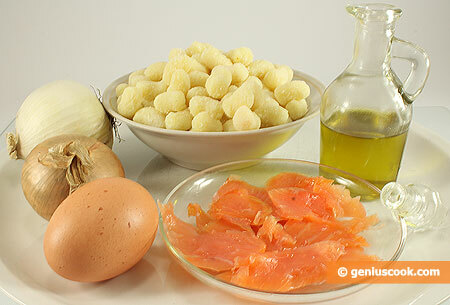 In a large frying pan, pour olive oil and saute finely chopped garlic until golden. Add parsley, broccoli leaves and buds, salt to taste and cover. Cook over medium heat for 15-20 minutes, stirring occasionally. 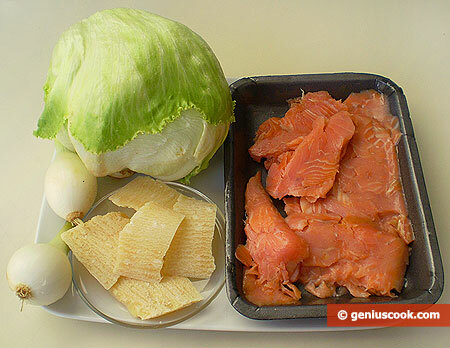 Remove everything and transfer into a bowl. Spear sausages with a fork and put them into the same frying pan. Fry sausages about 15-20 minutes covered, flipping them over occasionally. Add friarielli and cook with sausages for about 5 minutes, stirring constantly. Add some chili peppers or flavored olive oil in the end. 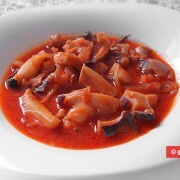 Serve hot with cherry tomatoes and cucumbers.